So another science type question, how does Pepperoni and Anchovy breathe a modern atmosphere? The composition of the atmosphere was different millions of years ago, so a creature from that time period would in theory have trouble breathing in the current atmosphere, to say nothing of beings from our time going there as well. This is one of those nitpicky questions I always have with time travel, but nobody else seems to... Also with Jurassic Park but I guess genetic engineering is the solution there. If I recall correctly dinosaurs in jurassic park (the novel) had also problem in breathing, just like when you go in high altitude places, but they eventually get used to it with time. Donatello never actually battled Krang. Rapahel fought him once, and Leonardo and Michelangelo fought him in both encounters. I especially found it interesting that Donatello has barely interacted with him, in spite of being the only turtle fully invested in stopping him from terraforming Earth. And I sometimes wonder what this would mean down the road. Since Donatello would be the one interacting with the Utroms the most because of Honeycutt, and with them being the next best teachers of technology he coudl get, it might mean that he might be the one talking to Krang in prison and really one-on-one with him. Also, just for fun, I put the coordinates of Burnow in Wolfram Alpha to see what goes on with its weather. As of right now (11:45 pm for me posting this), it's 1:34 am, and 45 F/5 C. It's also overcast. Last edited by Utrommaniac; 12-08-2016 at 10:47 PM. How are the Triceratons, as a civilization, born? My present assumption is that the Utroms 'grew' them to be born full size and made restrictions to keep them from breeding with one another ala Jurassic Park, but with all male specimens instead of all females, and they kept the information for the process a Top Secret. Of course, they probably did get a hold of the secret during the rebellion, which aided them. So...would they carry on as they had before, or would they attempt some revisions so they can have females, or at the very least be able to reproduce among themselves without assistance? Or, given how they're Great Conquerors, would see raising children as a waste of time and carry on as the Utroms had? Or maybe they'd even go for something in the middle like Logan's Run. Children are born through artificial means and they're raised by a special class of workers while the rest of the adults are military officials. Though with a tiny minority of naysayers against the idea of artificial life, arguing that it might be better for their civilization to begin life as the rest of the universe does and to have family units, and expanded paths of careers. Their ending argument being "How do you think the Utroms were so successful?! ", and refuting with their allies in the rebellion - namely the Neutrinos. I guess they could be called the Eggheads or something . Last edited by Utrommaniac; 02-13-2017 at 01:00 PM. I just finished reading the 2014 Annual for the 1st time. It wasn't all that good. Kinda boring to read through. Eastman's art is classic and all, but these days a full issue drawn by him doesn't feel all that special, especially with how much his style has changed. Not to mention the fact that his style isn't really a good fit for this series. Interesting introduction for Renet, but having read Turtles in Time long before this I was kinda expecting more out of her first meeting with these turtles. Seeing Lord Simultaneous and the Battle Nexus return was neat. A main problem I have with this issue is that new guy. Renet's boyfriend or whatever. What was the point of adding him to the story? He didn't contribute much more than some exposition and some of his dialogue is just a chore to read through. He hasn't appeared since so I doubt we'll get anything out of his character. Overall a decent issue. I would've been more ok with this issue and it's faults if I didn't have to pay full cover price for it three years later. I had actually put it out of my mind that Renet had a boyfriend. But oh boy, between Utrom Empire and this...what happened to Zog??? What happened to the smart, eloquent rebellion leader for him to be reduced to "Zog smash!"? And Bobby did say it was the same Zog too. I can imagine why. He wasn't exactly the best of characters. I'm curious about it as well. His intelligence deteriorated immensely. But until we get an absolute answer, my head-canon is that the same thing that happened to Return to New York Zog happened to IDW Zog. Lack of a breathable atmosphere and with no way to return home drove Zog to essentially a mindless beast. That probably would make sense. Especially since Utrominion is a low-oxygen planet from my guess, and that's what he was "grown" to be acclimated to (again, we don't really know how Triceratons are born). So the deterioration would be coming from an overexposure to oxygen than a lack of it. Yeah, Zog isn't known for his high intelligence. 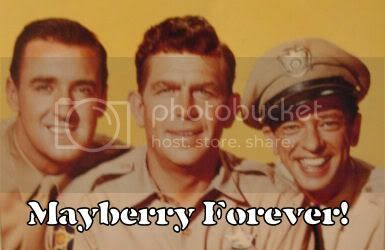 He's known for being a barely functioning soldier suffering brain damage from the different atmosphere after being marooned. I did realize that the 2014 Annual was made before Utrom Empire, so Zog's character probably wasn't completely together yet. But he's still a long shadow of what we got in the mini. This is the guy who brought the rebellion against the Utrom Empire to its home base and smashed it to the ground - and the guy who gave Krang a chance to attempt cleaning things up a little bit. Though, they don't exactly say why the Triceratons were part of the rebellion, nor how long they had been in existence before they got sick of working for the Utroms. Especially with the very guy who came up with them still being alive. 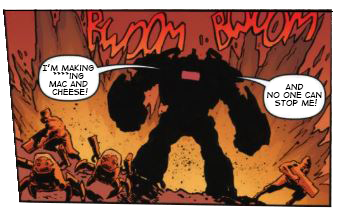 (I'll be disappointed if Churk doesn't have extreme guilt over that). I have a lot of questions regarding the Rebellion as a whole, but it's all a fog of mystery. It could be a blink and you miss it type thing like Wingnut and Screwloose were. It also could be just fan drawings like Campbell did before ever being assigned TMNT at IDW. It does look nice,but I need official word on how they are going to fit since we already have an awesome Slash and what has been sadi about Tokka as a response to that. Did she confirm they'll be in a book or is it just a drawing she did for fun? I feel like if the images were debuted on twitter with no fanfare it almost guarantees that Sophie was just watching or reminiscing about the old TMNT movie. 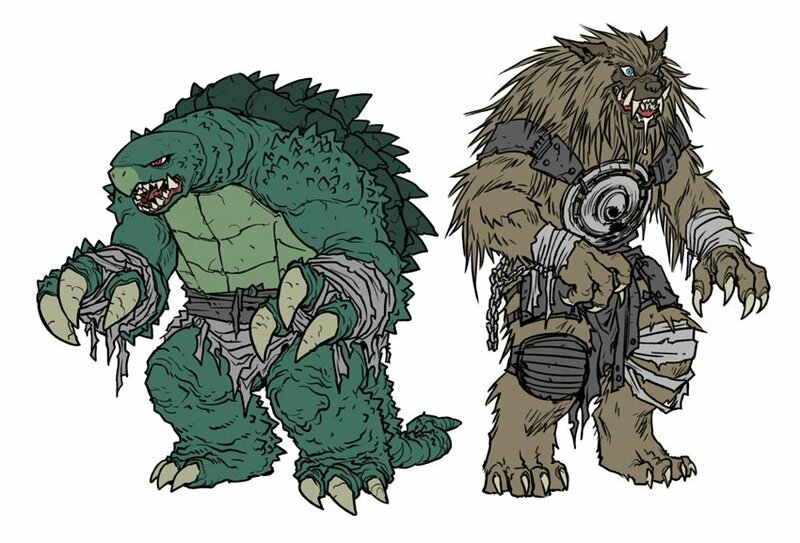 I don't know where Tokka and Rahzar would fit in any upcoming story by Sophie, since she's doing Karai's Path and that features a new human and creature character and I don't know if she has any IDW work lined up after that. Official IDW Twitter made repost of this picture. So, I think it's official. 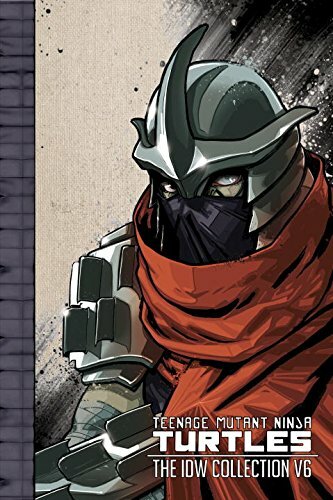 Collecting TMNT co-creator Kevin Eastman and artist extraordinaire Bill Sienkiewicz's five-part story from TMNT Universe Volume One, now with a ton of new behind-the-scenes features. "Inside Out" may be the title of the story, but it's also how you're seeing the art. 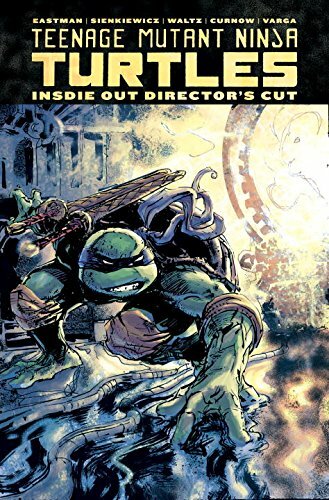 Get inside the creative process between two of the biggest names in comics with the Teenage Mutant Ninja Turtles: Inside Out Director's Cut. Witness the transition from script to art with Eastman's layouts and design notes. This is a rare opportunity to see two masters of the medium collaborate, and the director's cut gives you VIP access.